Vince Ryan was elected to a four-year term as the Harris County Attorney on November 4, 2008 and re-elected in 2012. 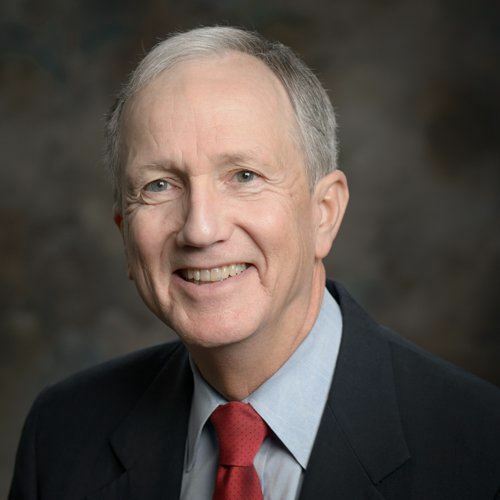 He is no stranger to the office, having served as an Assistant Harris County Attorney and First Assistant for former County Attorney Mike Driscoll from 1981 to 1987. In 1987, Vince, with the support and help of many grassroots activists, scored an upset to win a seat on the Houston City Council for District C. He was reelected to two more terms. Vince was appointed by the President, and later unanimously confirmed by the U.S. Senate, to serve on the Board of the Panama Canal Commission. This bi-national board oversaw the Canal and its historic transition to Panama on December 31, 1999. Following his service on the Panama Canal Commission, Vince was associated with several prominent Houston law firms and continued his community involvement. In the last decade, he has served on various boards and is a founding board member of the Houston Tampico Sister City Association and the Houston Democratic Lawyers Association. Born in Houston, Vince was raised by loving parents who instilled within him and his three siblings a sense of service to others. As the Vietnam war raged, a 19-year-old Vince joined ROTC at the University of Houston and upon graduation became an active duty officer in the United States Army, first serving in Europe and then volunteering for service in Vietnam. He was returned to active duty for Operation Just Cause, which ousted the dictator of Panama, in 1990. After his service in Vietnam, Vince left active duty and attended the University of Houston Law School. Soon he became active in the Neartown Association. While practicing law, Vince attended Rice University and received a Master's Degree.